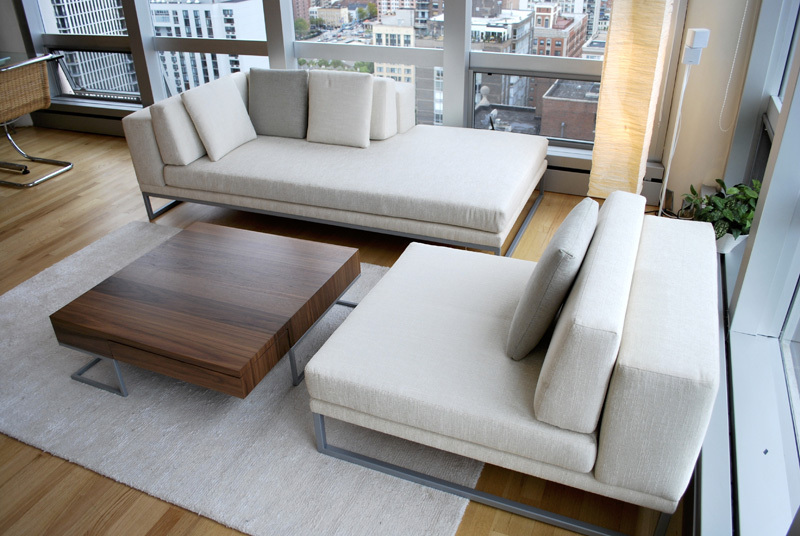 Lacquered banquette and integrated cabinets. Dull lacquered modular room divider/bookshelf with walnut veneered doors. Buffet made of two sequential black walnut slabs. Solid dovetailed walnut drawer boxes. 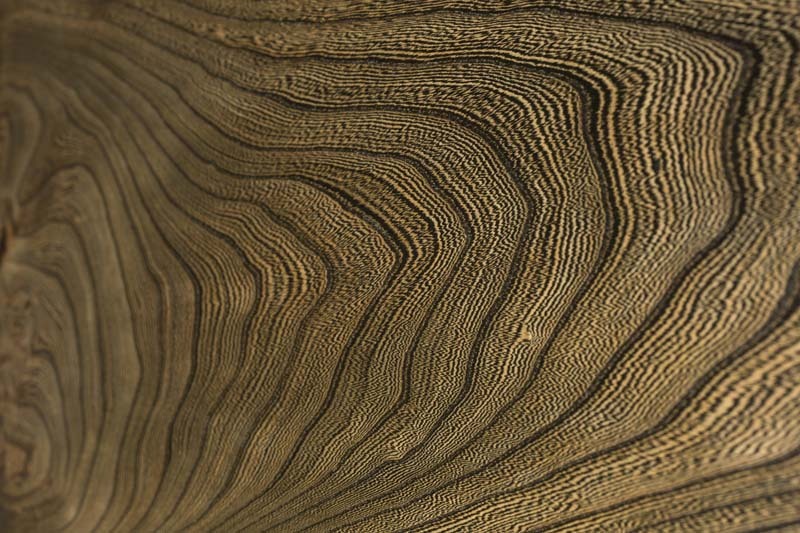 curly walnut veneered doors with integrated finger pulls. Twelve Stealth Lock remote controlled locks. Solid walnut table made from 6 small slabs, oil finish. Santo Rosewood veneered curved sofa with silk upholstery. Solid White oak desk with X legs. Solid oak drawer boxes with white leather liner. Custom plated pulls. Solid quarter sawn walnut console with hand tooled leather doors and drawer faces and gold leaf detail. Aluminum frame clad in Avonite. Solid walnut, avonite and bronze air hockey table. Solid walnut and white lacquer TV stand with lacquer finish. Eglomise mirror clad dressing table with integrated LED lighting. Reclaimed white oak dining table with bleached, white washed and cerused finish. Custom solid Elm bed and wall cubbies with cerused finish. Wood sourced by Horigan Urban Forrest Products. 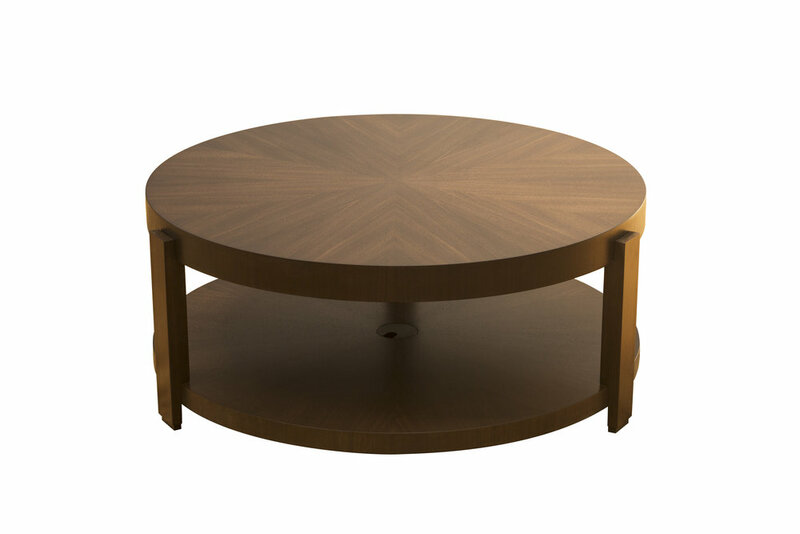 Solid black walnut dining table with stainless steel accents on pedestal bases. Live edge solid black walnut extension table with book-matched top. 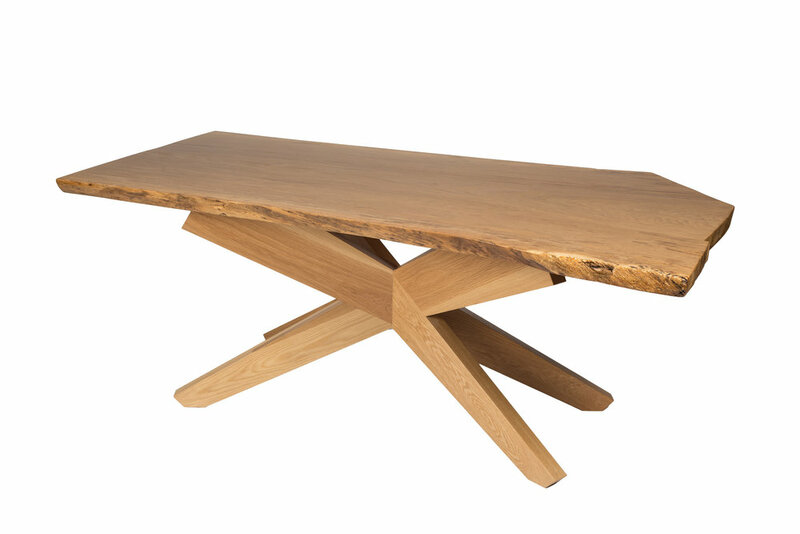 Walnut slab dining table with dull lacquer finish. Mirror polished solid stainless steel frames suspending Zebrawood veneered shelving. 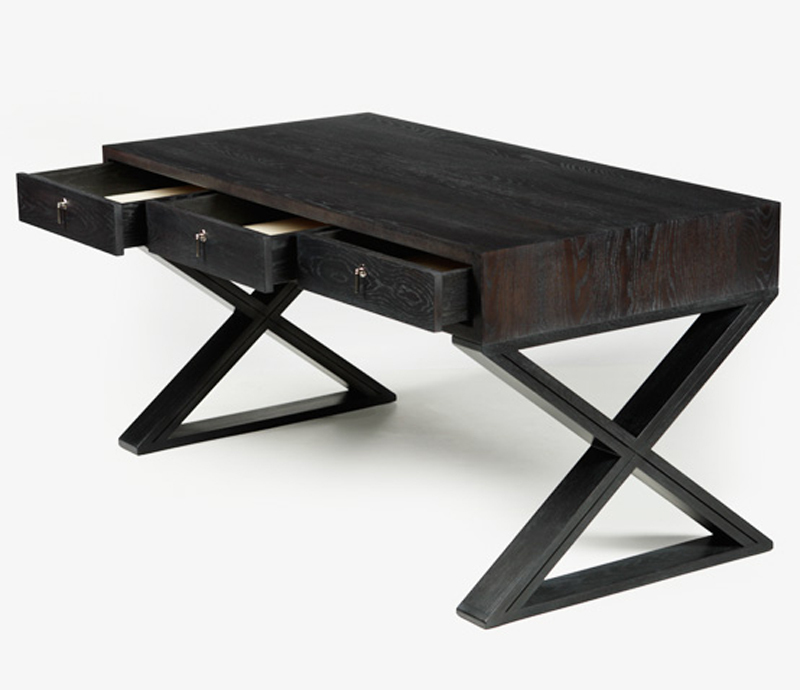 Hackberry lumber top with natural lacquer finish and black patinated steel base. Hidden TV cabinet with reverse diamond matched doors. 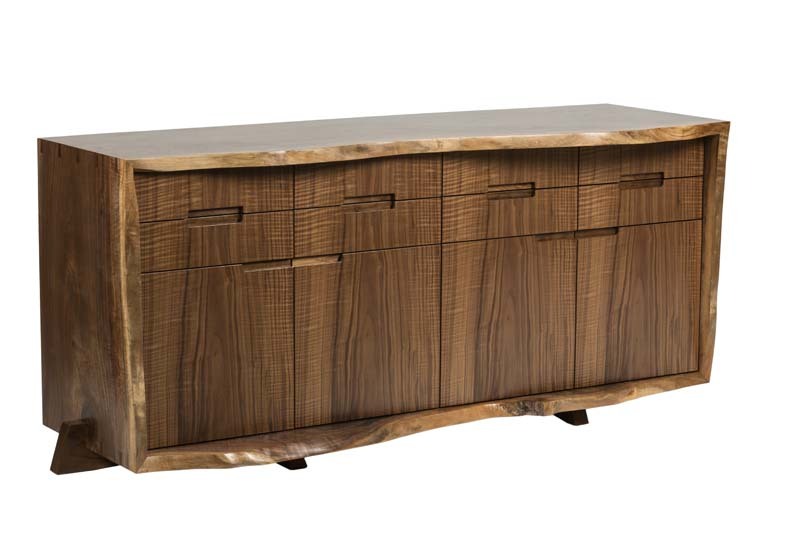 Solid walnut case in "driftwood" stain and lacquer finish. Natural walnut and white lacquer dresser. Random planked veneered vanity with solid dovetailed walnut scoop front drawer boxes. 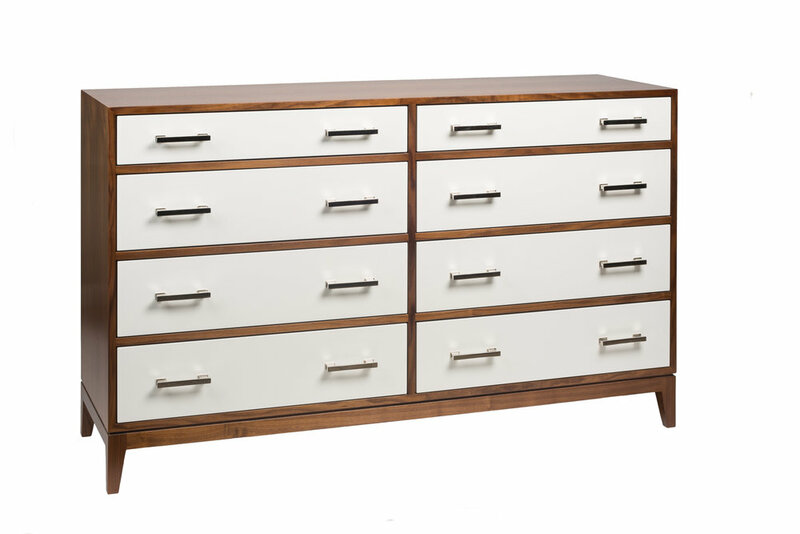 Lacquered MDF cabinet with white cerused oak doors and handle. Red interior. Painted MDF double sided storage cart with locking castors. 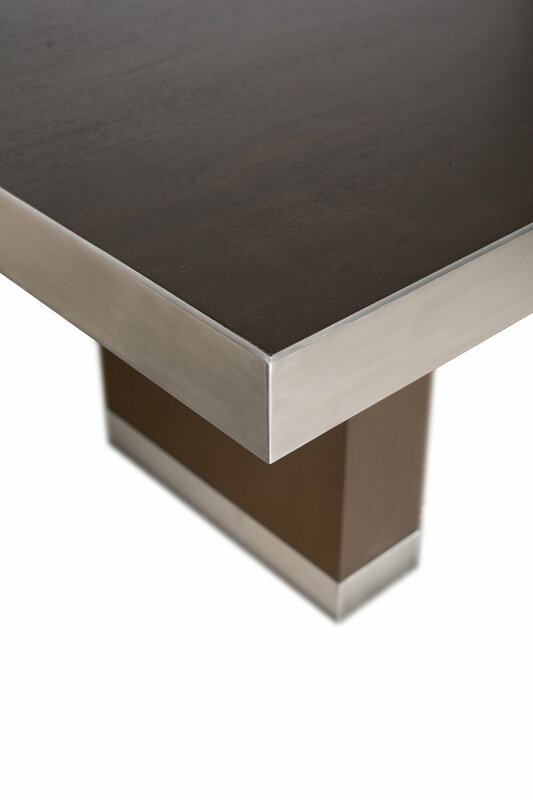 Ebonized walnut dining table with brushed stainless steel trim.